From its first conference in Boulder (1974), SIGGRAPH has become the worlds largest and most widely supported annual convention on Computer Graphics. Formed in 1969 by the Advanced Computing Machinery group (ACM), the Special Interest Group in Graphics (SIGGRAPH) is a non-profit organization established to share information and encourage open development in the field of computer graphics. Over the last 40+ years SIGGRAPH has collated the single-largest library of technical white-papers, documenting and presenting the entire history of computer graphics as it’s happened. The SIGGRAPH conference proceedings have covered thousands of technical breakthroughs, many of which now benefit our everyday lives. 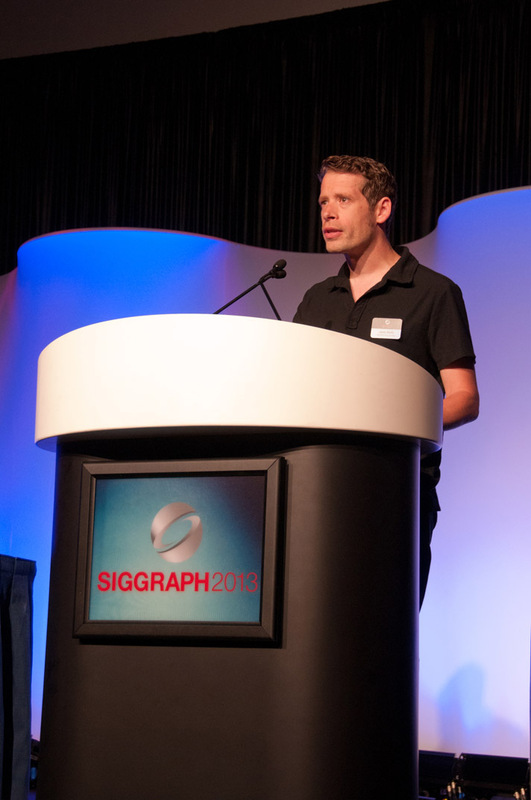 SIGGRAPH 2011 took place at the amazing conference center in Vancouver; I was honored to Direct and Chair the Real-Time Festival which covers the live and interactive components of the five-day event, including Real-Time Live! and The Sandbox. SIGGRAPH 2011 was the largest conference ever to take place in Vancouver attracting ~16,000 CG students, professionals and academics from many countries. 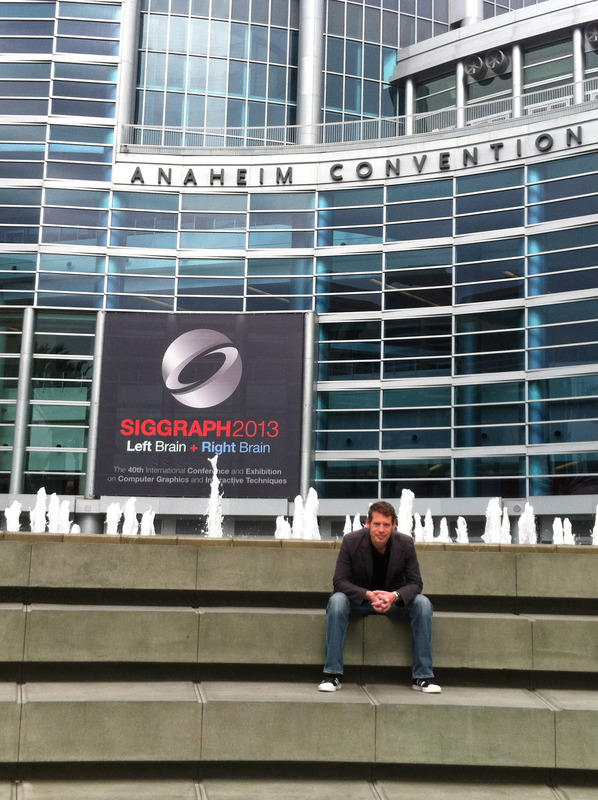 At SIGGRAPH 2012 in Los Angeles, Real-Time Live! achieved greater participation and attendance with an all-star cast including presenters from Epic Games, Unigine, LucasArts & Square Enix. In total, 90 minutes of Real-Time presentations, techniques and development breakdowns were shared with over 2000 attendees. The show was a huge success and voted as one of the most entertaining events at the Conference. More here, including the complete line-up. 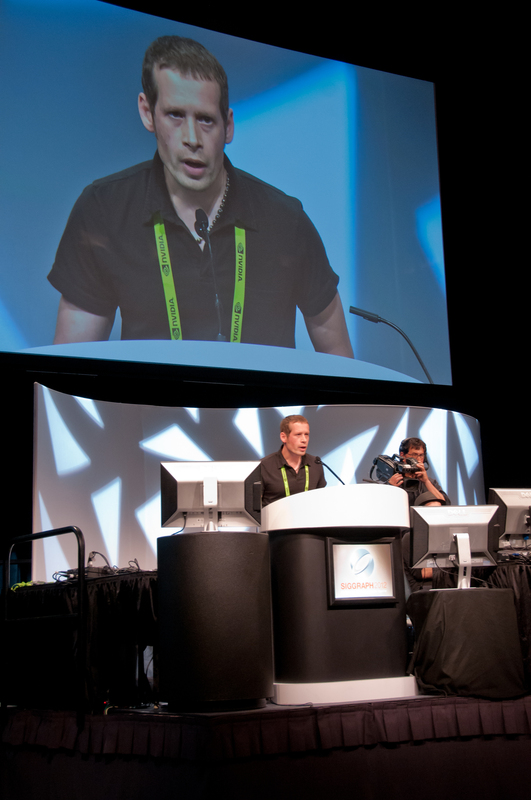 A career highlight; I was asked to direct the SIGGRAPH 2013 Computer Animation Festival. The conference and festival took place in Anaheim 21-25 July. As a traditionally trained animator who’s spent twenty years in computer graphics I couldn’t have been more excited to deliver a show to celebrate the 40th Anniversary of the SIGGRAPH conference. From the giant blimp to the red carpets, the free popcorn to the incredible content, thanks to an amazing team it couldn’t have been more successful. Pre-show movie – The Centrifuge Project – courtesy of good friend Till Nowak. Trailer soundtrack – Disintegration – courtesy of Monarchy and Mercury Records. Carlo Vogele (Pixar), Rajesh Sharma (Disney). After a couple years hiatus I took on an Advisory role with the Computer Animation Festival for 2016 working with the awesome Roy Anthony. Not being able to stay hands-off for too long I participated in the Triage Jury and directed two small shows for the Daytime Selects Program (Winners Circle & Demoscene). Presenting the the Computer Animation Festival ‘Best of Show’ award.